A look at Thomas Pieters' golf bag this week at the Maybank Malaysia. Do you own a company with interest in raising your brand awareness on a global stage? Well European Tour pro Thomas Pieters has the perfect opportunity for you, and he’s not hiding it. At this week’s Maybank Malaysia Championship, Pieters was spotted with a truly unusual sign on his golf bag, one that might be the first-of-its-kind. On the front of his lime-green Callaway tour bag are three rectangular patches with the same message written in three different languages: FOR SALE. Golf instructor Jamie Gough noticed the odd sign and decided to post a photo of it to Twitter, which you can see here. It turns out that the 27-year-old pro, who has three European Tour wins on his resume, is currently without a bag sponsor. For the past 18 months, Pieters has used the space on his bag to promote things of personal interest to him, according to Bunkered. Now, though, Pieters would like a paying sponsor, thank you very much. The three languages featured in his plea are English, Dutch and Japanese. This isn’t actually the first time Pieters has employed his creative strategy. 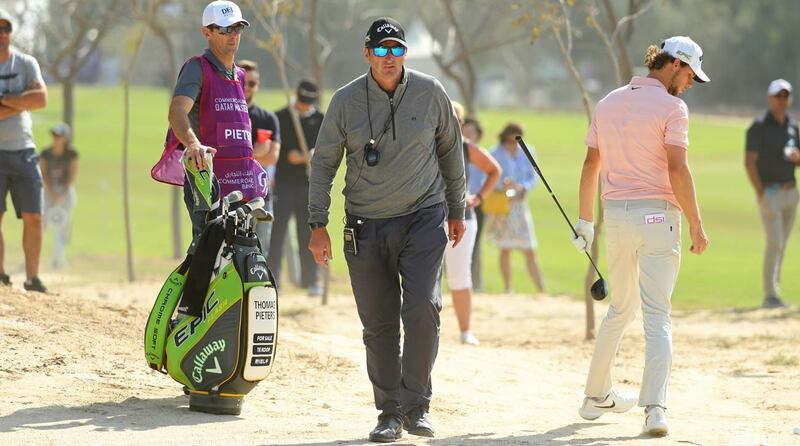 Photographers captured his ‘For Sale’ golf bag two weeks ago at the Qatar Masters. 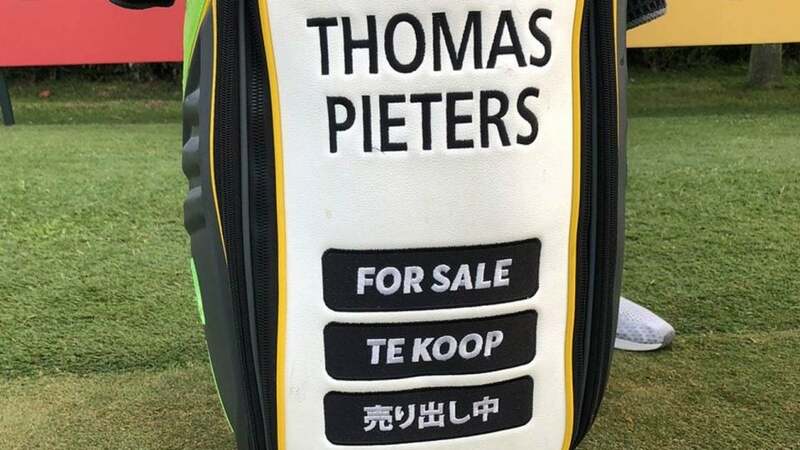 Thomas Pieters and his golf bag featuring 'For Sale' signs at the 2019 Qatar Masters. I’m no marketing expert, but this seems like a great opportunity for a new company wanting to make a name for themselves. Despite being ranked No. 81 in the World, Pieters is a genuine talent who could have a career breakthrough at any time. In addition to his three wins on the European Tour, Pieters played on the 2016 European Ryder Cup team and has performed very well at majors in the past. He finished T28 at last year’s British Open and T6 shortly thereafter at the PGA Championship. His best career finish at a major is a T4 at the 2017 Masters.